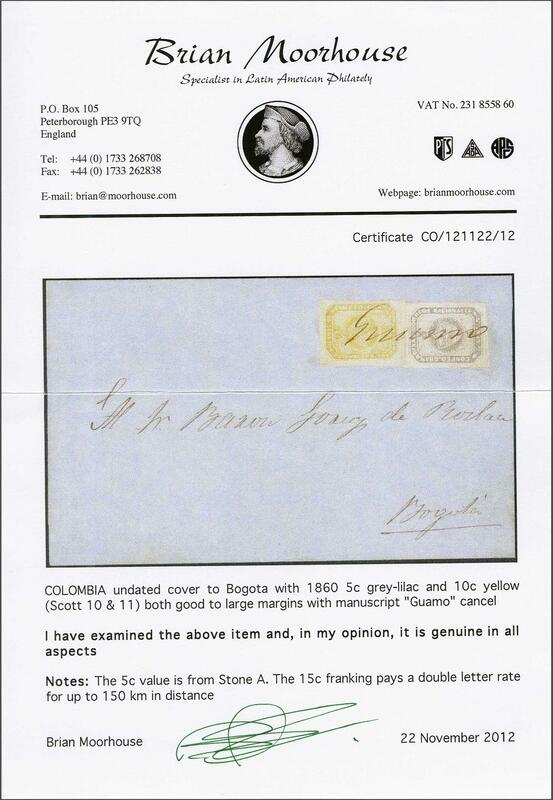 1860: 5 c. lilac-grey, First Stone position 53 and 10 c. yellow, First Stone, position 33 on the sheet of 55 subjects, each with large margins all round, used on cover from Guamo (Tolima) via Espinal, Ricaurte, Tocaima and La Mesa to Bogotá tied by manuscript "Guamo" in ink. The franking paying the double rate of 15 centavos for a distance above 150 kms. to 450 kms. for a letter under 10 grams. The addressee, Le Baron Célian Goury du Roslan, was the French Minister Plenipotentiary of France in Bogotá. A wonderful cover in the foremost quality with less than 10 genuine second issue covers recorded. Cert. 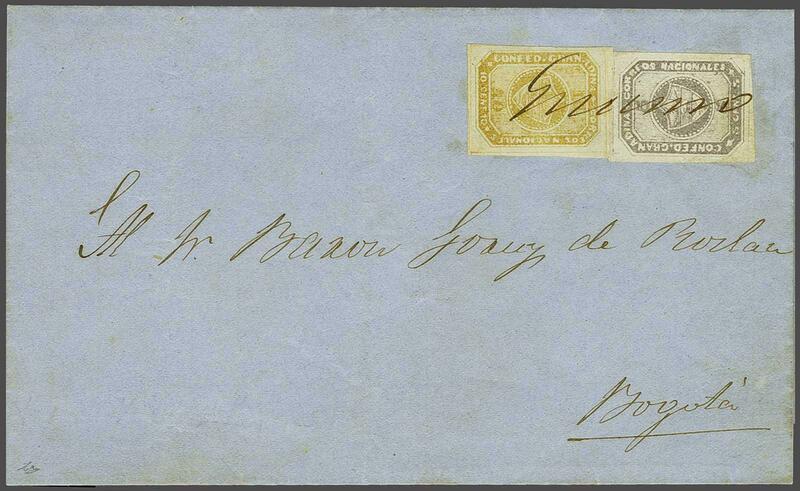 Moorhouse (2012).rnrnProvenance: Collection Hugo Goeggel, Corinphila sale 188, May 2014, lot 4088.